Intigam Aliyev. Photo: Radio Free Europe/Radio Liberty. Civil Rights Defenders welcomes the verdict of the European Court of Human Rights (ECtHR) in the case of Aliyev v. Azerbaijan, which ruled that prominent human rights lawyer and 2016 Civil Rights Defender of the Year Intigam Aliyev’s arrest and imprisonment violated his rights under Articles 5.1, 5.4, and 18 of the European Convention of Human Rights. The court ruled that Aliyev’s 2014 arrest and imprisonment were politically motivated and intended to prevent him from speaking out about systemic human rights abuses in Azerbaijan and defending Azerbaijani citizens in courts of law. Aliyev was released in March 2016, but his conviction remains in place, preventing him from rejoining the bar and arguing cases in Azerbaijani courts, and he remains under an international travel ban. However, he remains active in filing petitions to international courts, and is currently arguing a large number of cases before the ECtHR. The court has awarded Aliyev 26,150 EUR in compensation, and it is of the utmost importance that the Council of Europe ensures Azerbaijan complies with this and all other outstanding rulings of the ECtHR. Furthermore, it is overdue for Azerbaijan to remove the punitive travel bans in place against Aliyev and other critics such as Ilgar Mammadov, Khadija Ismayilova, and many, many othesrs. 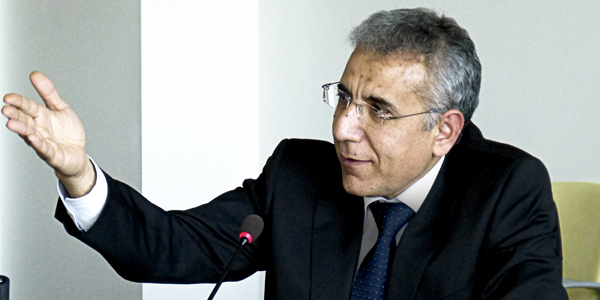 You can read more about Intigam Aliyev’s life and work here.